With the level of consumer debt skyrocketing and the cost of housing, education, and health care increasing at double-digit rates, younger generations are facing unprecedented challenges to achieving economic security and financial independence. Therefore, helping our youth to learn effective money management skills, and to adopt good financial habits and attitudes, is more important than ever. Set a Good Example—First and foremost, examine your own money behaviors and take action to get your own financial life in order. Always remember that nothing is more effective in guiding the younger generation than providing a powerful role model. An excellent handbook for reaching this goal is You and Your Money by Lois A. Vitt and Karen L. Murrell. Assess Your Attitudes—Your own attitudes and beliefs about money have their roots in value-laden messages you picked up along your life’s journey. Often these messages reside in your subconscious and influence how you feel and talk about money. Becoming more aware of these internal messages will help you to be more mindful about the money messages you are passing along to the young people in your life. A good resource to guide this more internal exploration is Caring for Your Soul in Matters of Money by Karen Ramsey. Be Aware & Prepared—Stay alert for teachable moments to communicate positive money messages and to share your financial expertise and wisdom. Very few topics affect us on a day-to-day basis like money, so there are endless opportunities to provide mini financial lessons via word and example. A great handbook to prepare you for this journey is The Opposite of Spoiled by New York Times money columnist, Ron Lieber. 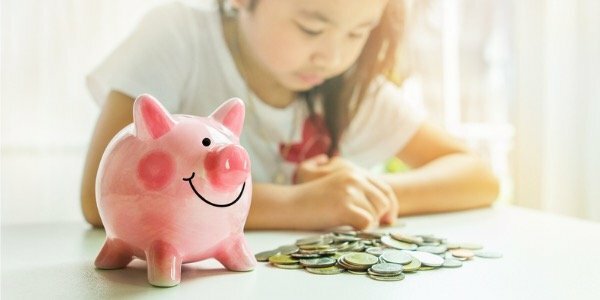 It covers everything about how, when, and why to talk to kids about money, whether they are three-years old or teenagers. The Opposite of Spoiled is both a practical guidebook and a values-based philosophy. Moon: “To shoot for the moon”; to go after dreams and goals. Jar: Following ancient custom where wishes or dreams are written down and placed in a special jar for future celebration! The Moonjar kit (www.moonjar.com) consists of three colorful moneyboxes (one each for spending, saving, and sharing), a special Moonjar elastic band to hold the assembled boxes together, a passbook for deposits and withdrawals, and a family guidebook.